Do you ever hop in the car with no plan of where to go? NO! Every time you get in the car, you know your destination. The same should be said for teaching and lesson planning. You must have a goal, an ending location, for your lesson or curriculum. 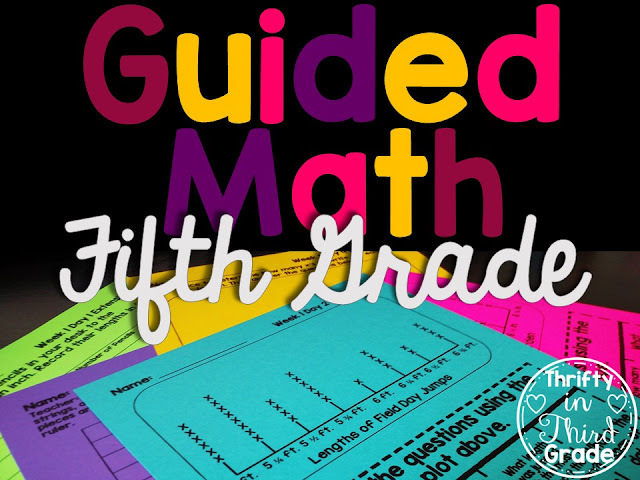 A lot of people want to implement guided math in their classrooms, but aren't sure where to begin. The key to having successful guided math groups is organization. 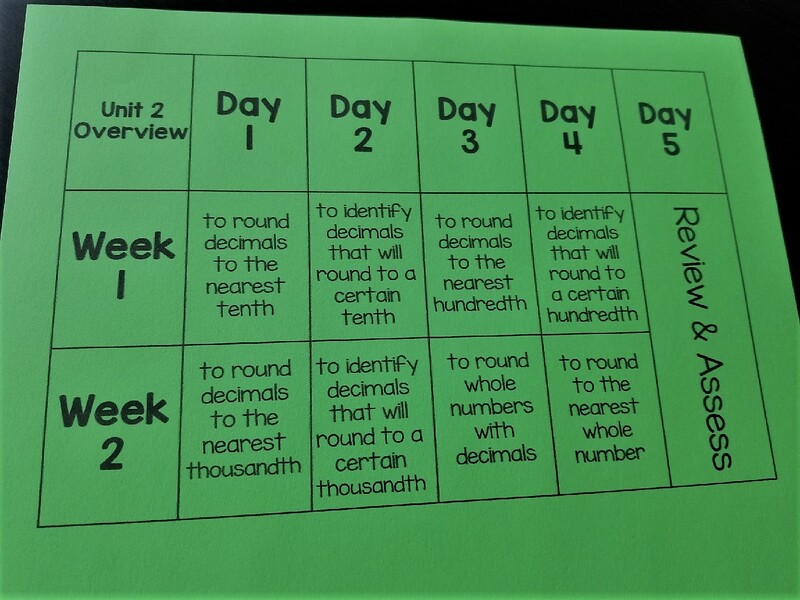 I designed the guided math units to have a gradual, scaffolded progression. At the beginning of every unit is the unit overview. It is important to begin with the end in mind. Read over the overview. Study the post assessment. Understand what students will ultimately be expected to do. It is important not to overwhelm students with too much new content at one time when teaching a lesson. 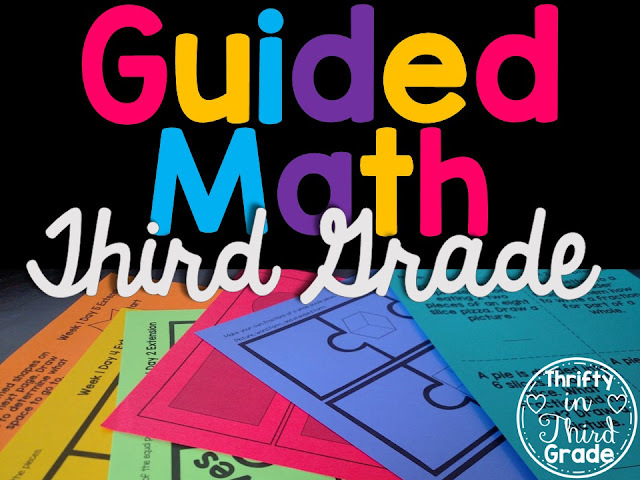 The Guided Math units are designed in a way that sets students up for success. There are specific and achievable objectives for each day. There are resources for students to practice the objective, (practice pages and daily extension activities). You can use these as other "rotations" during your guided math time. Another great thing about the design of the units is that there is built in review time, each week! No more reviewing all concepts at the end of a unit and trying to cram for the post test. These units are designed to allow you to slow the pace or review as you see fit. This helps solidify students' foundations before moving on to more challenging skills. If you use the year long bundle of units, you will have 32 weeks of instruction. With one review day per week, your students are benefiting from an entire month of review time built in throughout the year. If you are at a traditional school with 36 weeks of instruction, you will have about 4 weeks at the end of the year to do test prep with your students. So how do you know what to review at the end of the year? You can't review it all. There simply isn't the time! One thing to do is to color code your unit overviews. 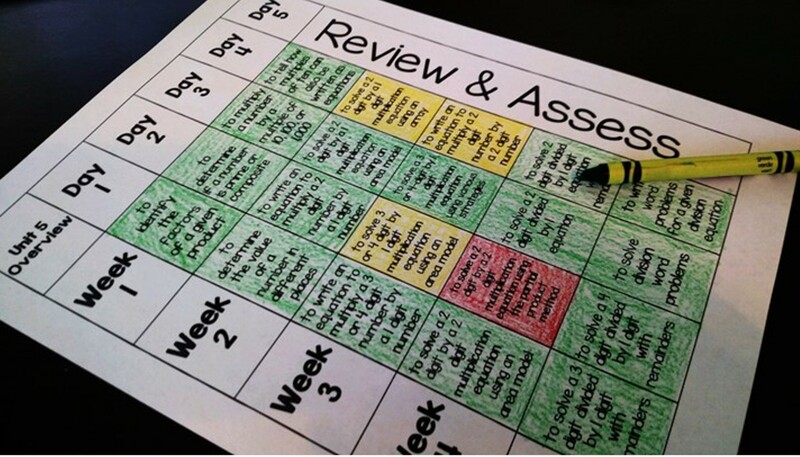 After each lesson, color in the block green, yellow, or red, to indicate how successful your students were with the lesson. When it's time to review, you will know exactly which objectives to spend your time on.